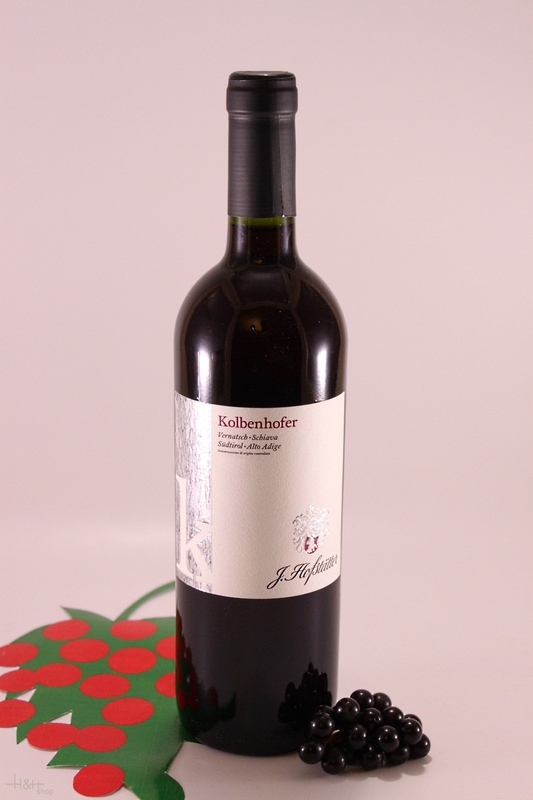 Grape Variety: A mixture of various subvarieties of Schiava (Vernatsch) together with Lagrein. The grapes used to produce this wine come very old vines (approx. 60 years). In accordance with long established tradition, the vineyards are planted with various sub-varieties of Schiava (Vernatsch) together with a small proportion of Lagrein. Schiava or Vernatsch, as it is called in German, is not only the most widely planted vine in Alto Adige (Südtirol), it is also the most popular wine among the local population. Vineyard / Origin: South- east facing vineyards on the hillsides surrounding Tramin-Termeno and Cortaccia. Soil: Clay with lime and gravel. Winemaking: The grapes are de-stemmed, crushed and the must is fermented with the skins using temperature control. The skins which are forced to the top of the tank during fermentation are pushed back down into the must in order to extract as much colour, tannins and fruit as possible. Description: It is full ruby in colour with violet reflexes, fresh and intensely fruity on the nose, fragrant with a flavour of woodland berry fruits on the palate and a lightly almondy finish. The wine's succulent, gentle fruity character , soft, unobtrusive tannins and mild supple acidity make it a favourite for social drinking. Food Choices: This is a very versatile wine and goes well with an array of dishes, roasts, poultry, pork chops and barbecued pork. Merlot Fihl - 2016 - Winery Peter Dipoli 24,20 EUR / 32,27 €/lt. Det er en gang pjask ..